Something is so inspiring and spirit building when you find someone who is so energised, devoted and ambitious to walk with you to reach your dream. In the past few years, I feel truly blessed to have met amazing people who are truly passionate about Indonesian textiles and who care so much about the workers involved in producing them. 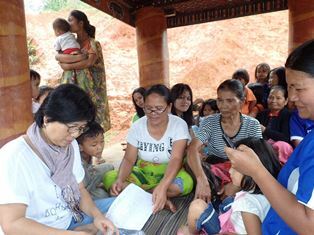 We are proud to share our stories with you that Connect Indonesia, The Charity’s project “Seeing is Believing” is reaching more weaving villages in Indonesia now. 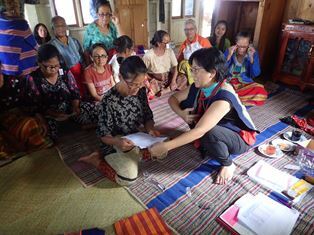 On this occasion we are in Central Sulawesi, Mamasa Region, meeting weavers and distributing reading glasses with the Torajamelo team, headed up by the owner Mrs Diny Jusuf is connecting us to the weavers in Mamasa Region, Western Sulawesi and also in Toraja Region, South Sulawesi. 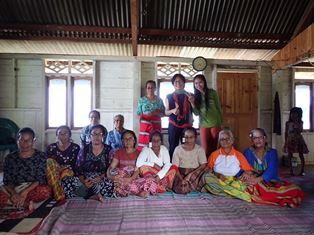 Mrs Diny Jusuf, who has been working to promote Toraja weavers and their woven textiles for many years now, helping to develop home industries and at the same time campaign to preserve cultural heritage surrounding Indonesian traditional textiles, particularly from Toraja. 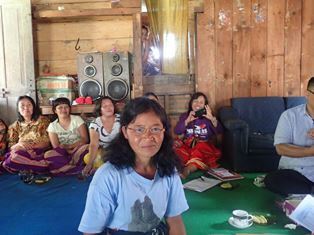 Although many parts of Toraja can now be reached by proper transport, many weaving villages are not so easy to reach due to lack of proper infrastructure, but Diny with her amazing ambitions managed to reach remote villages accompanied by her husband riding a small motorbike. Bravo ibu Diny, you are truly amazing!! 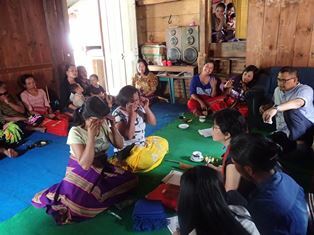 Your stories about the weavers in these villages are truly eye-opening, and I hope our contributions and teamwork can benefit more weavers in Sulawesi. Thank you for your full support in making things happened. 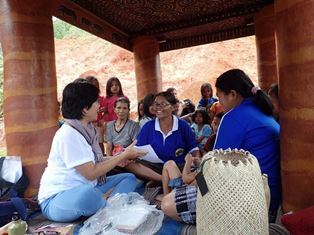 Our gratitude to Ms Wiwid Widiyanti, of Torajamelo team who has helped with the distribution process and our devoted Project Manager in Kupang, Ms Olvira Ballo who has been faithfully sorting our glasses for distribution. I feel truly blessed to have been able to work with such amazing and kind-hearted individual. We hope that we could continue this pure charity work for many more years to come.